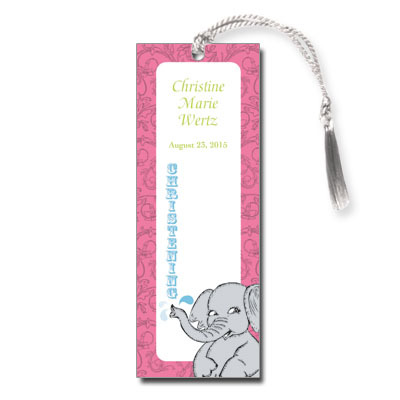 Featuring the image of a playful elephant and bright accents of color, this bookmark offers a unique and fun way to commemorate your child's christening! Comes with white satin tassels; assembly is required. Measures 2x5.5.